So you are knitting and you find that you have this strange hole. 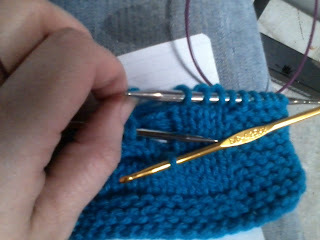 You don't know exactly what it is, but you don't want a hole in your knitting. 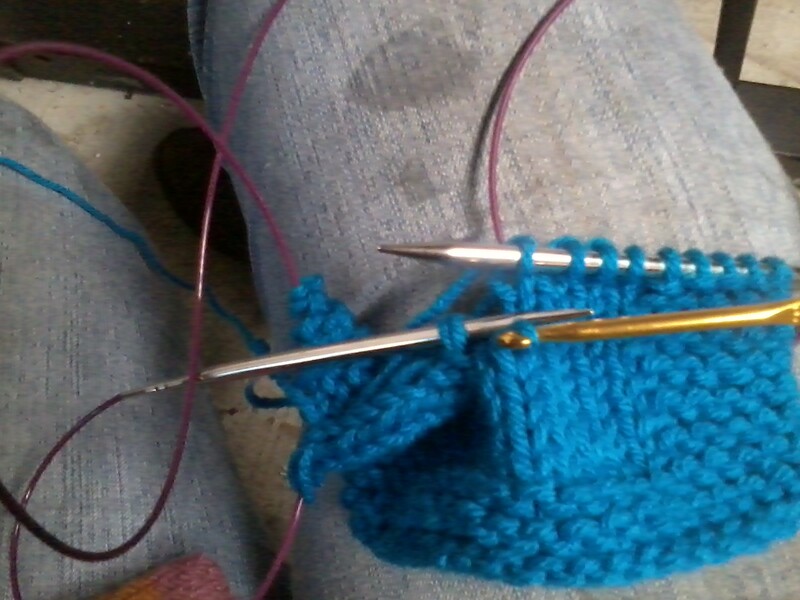 You figure it's not to bad, only 1 stitch, so you ladder down to fix it. 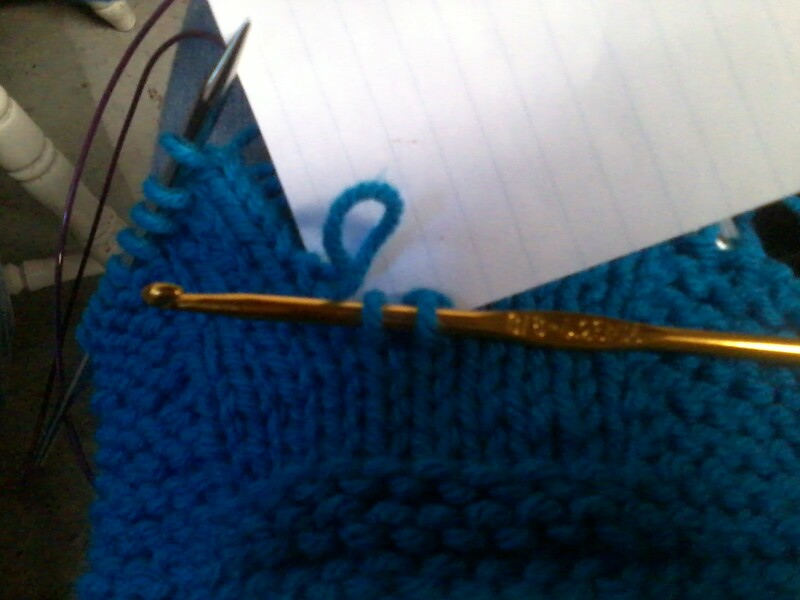 This loop means you set your knitting down mid row and when you picked it back up you accidentally turned your work creating a short row. 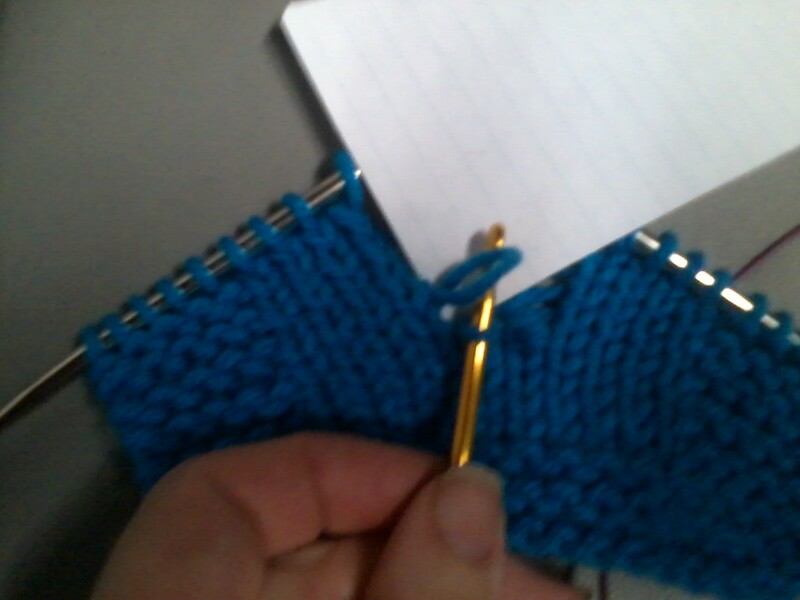 To fix this you actually need to drop 2 columns of stitches. 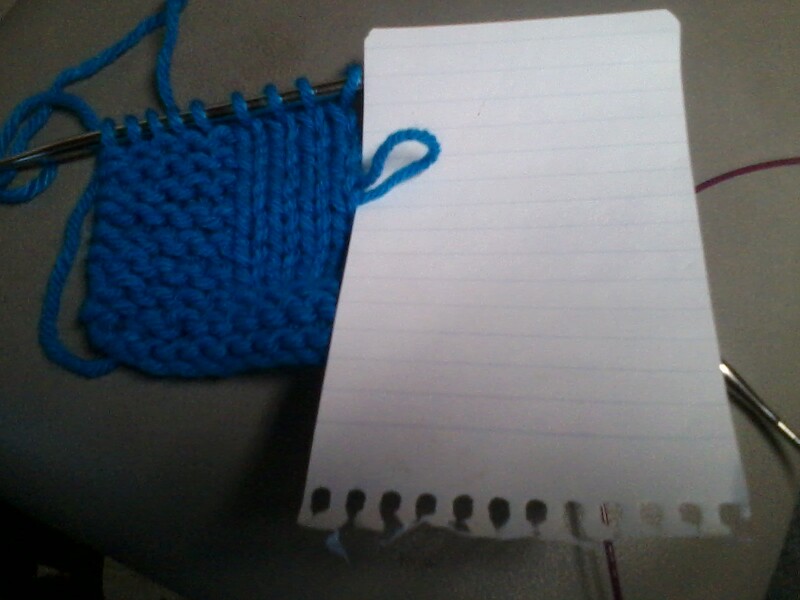 Here I dropped the stitches to the right of the loop. 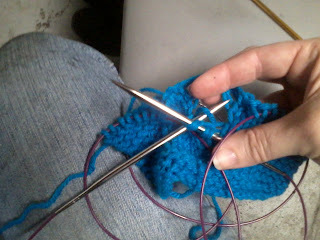 You want to drop the stitches on the other side of the loop. 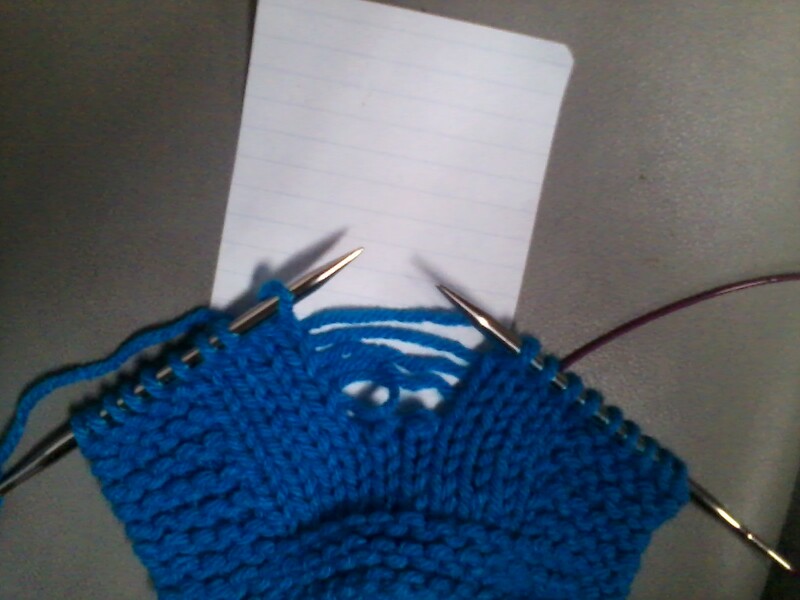 My loop is on my left so I dropped another column on the right. 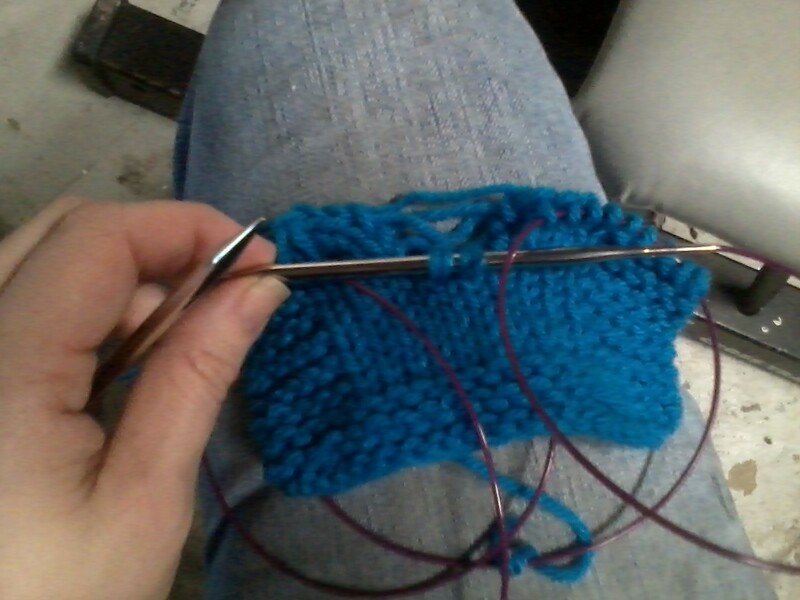 You want to drop just to the stitches directly below the loop. 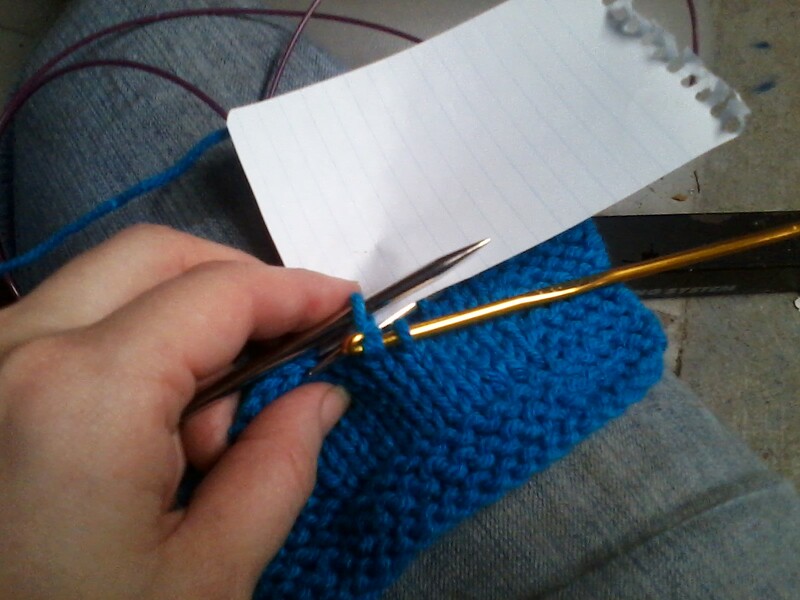 Here I have placed the 2 stitches onto a crochet hook. 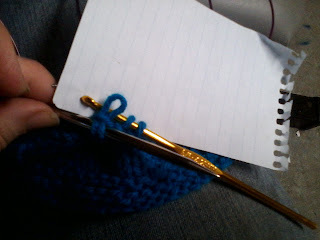 Crochet hooks are very handy for this sort of thing. Holding the loop I am grabbing both legs and will draw them through the 1st loop on the hook to create a stitch. 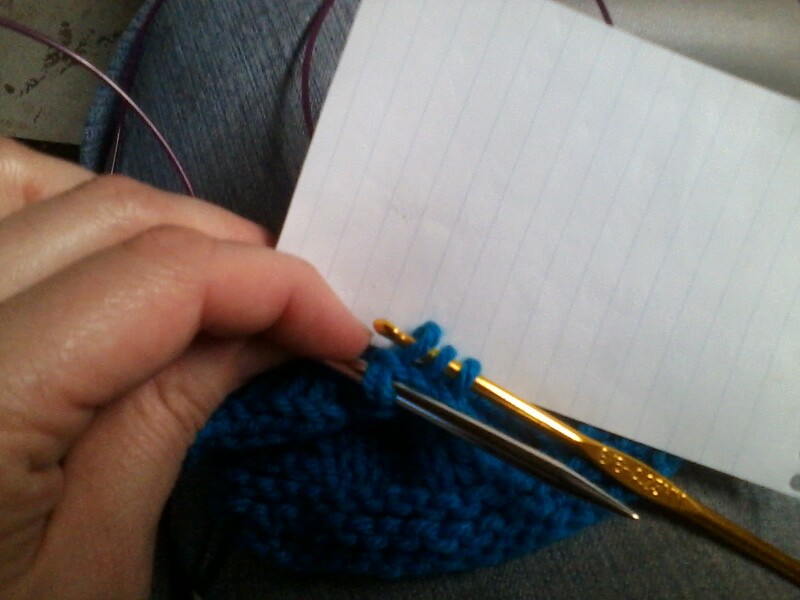 Don't pull all the way through. .
Leave the loop end hanging out. you can stick a stitch marker in it if you are worried about loosing the loop. I used a knitting needle and stuck that through the loop. 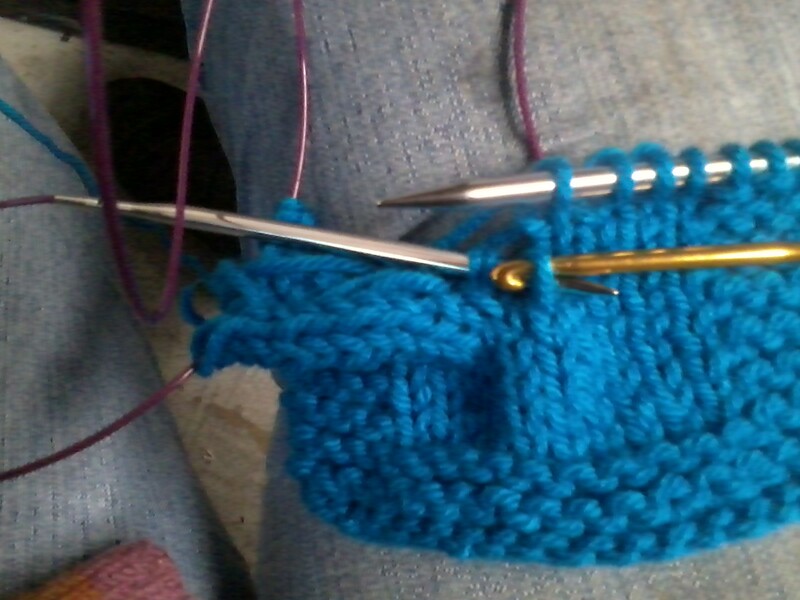 Here my stitch is on the hook and the loop is on the needle above it. place the stitch you just made onto a needle or something to keep it and don't loose the loop sticking out. 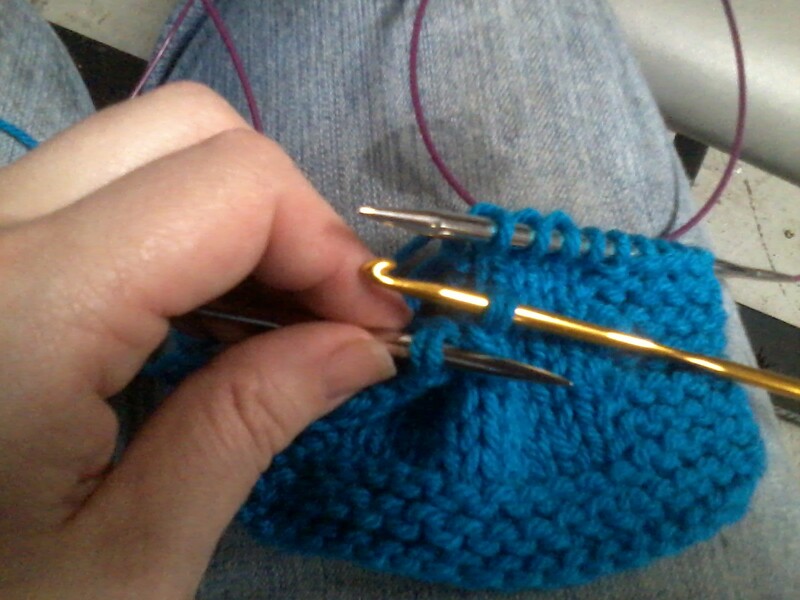 Pull both the loop and the bar through the stitch on the hook. Now just work your way back up to the top knitting with the bars from the stitches you just dropped and treating the 2 strand stitches as though they were just one strand thick. Personally I prefer to work with my needles. 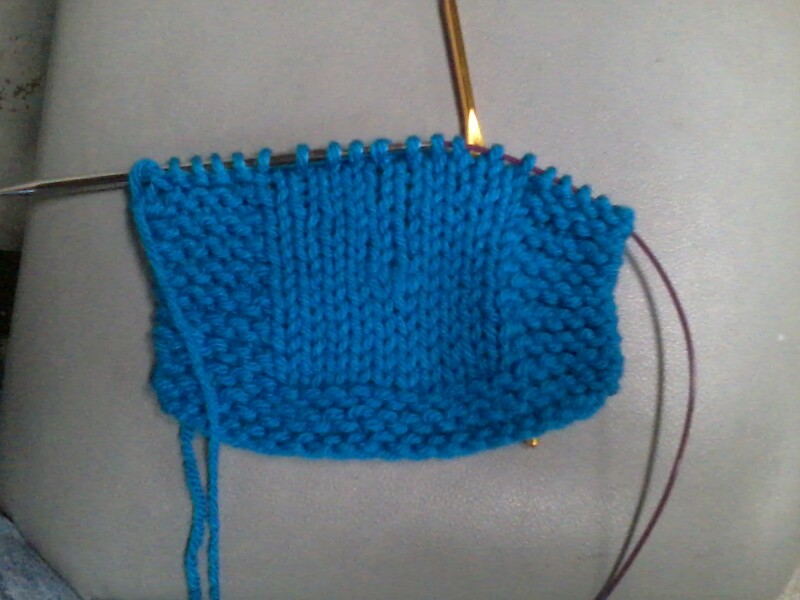 I knit my 2 stitches, transfer them back to the other side needle and knit them with the next bar and repeat till I'm back at the top. Once you worked back up you now have fixed the hole. 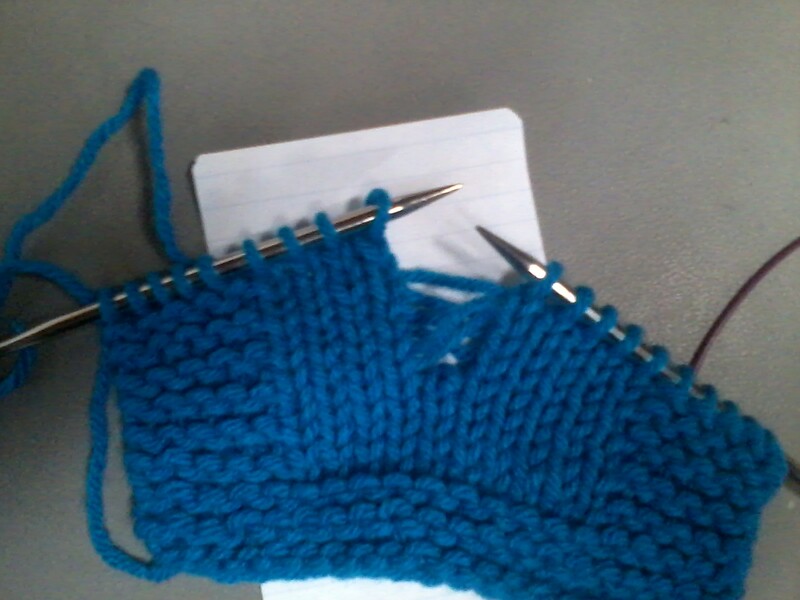 There is a slight thickness where you fixed it form the 2 stitches that are double thick. Also you have 1 more row on one side than the other from accidentally turning your work. But this won't really be a problem unless you do this to often. 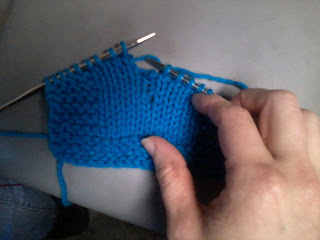 This fix disguises the problem area and closes the hole created by the short row. what kind of yarn is this and what color? It was likely a bernat yarn. 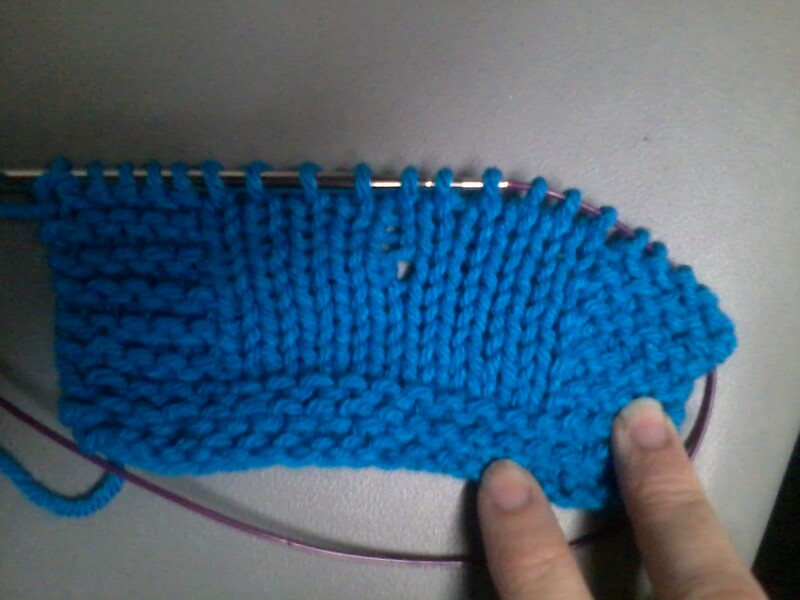 the value skein. Not sure of the color. 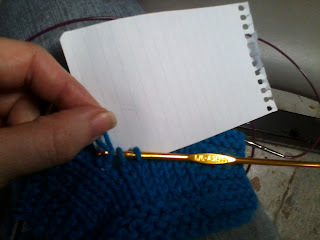 if I still have it, I'll check the band. Thank you so much for this!! 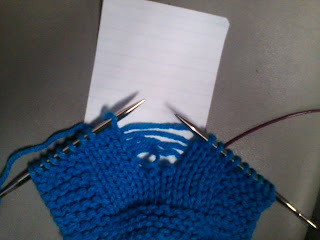 After more than an hour of trying to fix my badly-dropped short row, I was ready to frog the whole project. This saved my shawl and my sanity!! !